Scanned from the green Zeus covered Sacred Saga book by Future Studio. A double-paged spread featuring Julian Solo in the full God Cloth of Neptune. great scan, good good definition of the color, thanks! Just wish he was a good guy in the series. me facina ese estilo de dibujo! esta de lo mas jenial! muchas gracias de verdad! Poseidon es la neta, esta muuy loka esta imagen! bom scan obrigado por compartir! 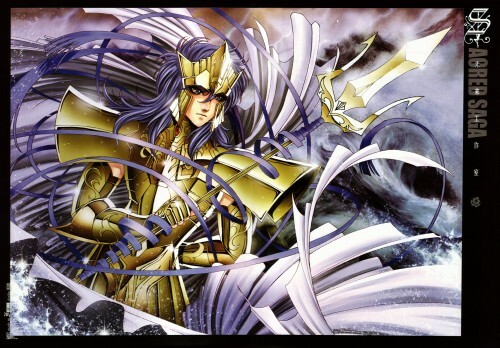 By the way, this Poseidon does not look like the original Masami Kurumada's version.